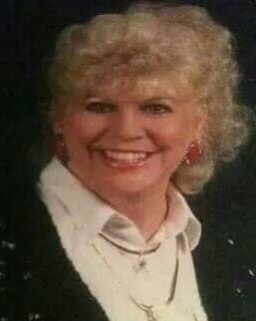 Barbara Faye Christian entered into eternal peace on Saturday, January 26th 2019, surrounded by her children and lifelong friends after a lengthy illness. A graduate of Central High School, she went on to attend Highland Beauty Academy and owned her own salon for over 45 years. She and her husband were foster parents for many years and opened their home to several children. She is preceded in death by her mother Gladys Pack, her husband of 48 years, Daniel T. Christian, Sr. and her daughter Carla Christian Blancett. She is survived by her daughter Anna Christian, Joey and Nateria Geren, Paula Christian Floyd (Austin), Daniel T. Christian, Jr., Donna Christian Lowe (Marty); Her grandkids, Brandon and Bailey Reisman of Chickamauga, Ga., Bethany Blancett (Orrin), Jacob Blancett of Chattanooga, Mason K. Lowe of Harrison. Her great grandkids include Liam, Killian, Alliyah and Mariah. Special thanks to North Park Hospital, Siskin Rehabilitation Facility and Soddy Daisy Healthcare for their compassion and for taking care of our Mother. An extra special thank you to Debbie Mullis, Pam Morrison, Diana Schaaf and Debbie and Dewayne Wilson for being there as our Mother went to be with the Lord. Visitation is Friday, February 1, 2019, from 4:00 p.m. to 8:00 p.m. at the funeral home. Services will be on Saturday, February 2, 2019 at 2:00 p.m. in the funeral home chapel with the Honorable Judge Clarence Shattuck, Walter Grantham, II, Daniel T. Christian, Jr., Joey Geren, Paula Floyd and Donna Christian Lowe speaking. Burial will follow at Hamilton Memorial Gardens.